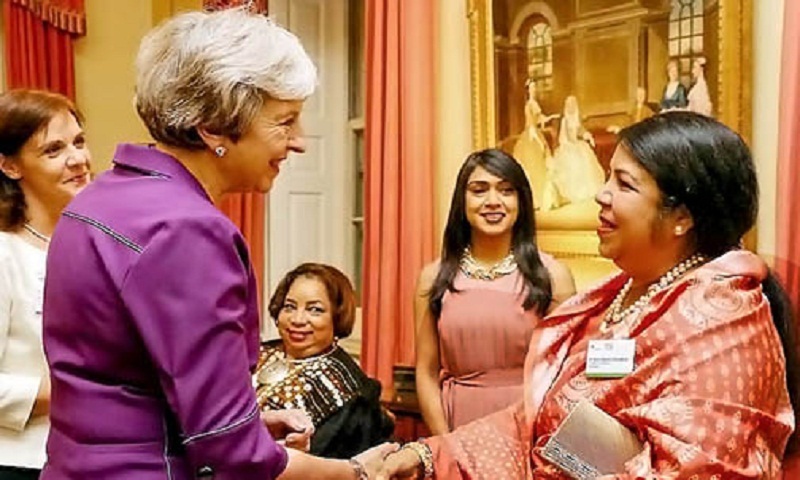 Jatiya Sangsad Speaker Dr Shirin Sharmin Chaudhury has met British Prime Minister Theresa May at the latter’s office at 10 Downing Street in London during her visit to the UK to attend the Women MPs of the World Conference. During the meeting, Shirin Sharmin wished a successful completion of the conference and thanked May for inviting her to the event, said an official release here today. The House of Commons, the lower house of the UK Parliament, organized the first ever Women MPs of the World Conference on November 8 to mark the 100 years of the women MPs. The Speaker left here on November 6 for London and is scheduled to return home today.